There's just 8 million combinations to choose from. Peppy, colorful customizable Xbox One controllers are coming. Well, in September, anyway. 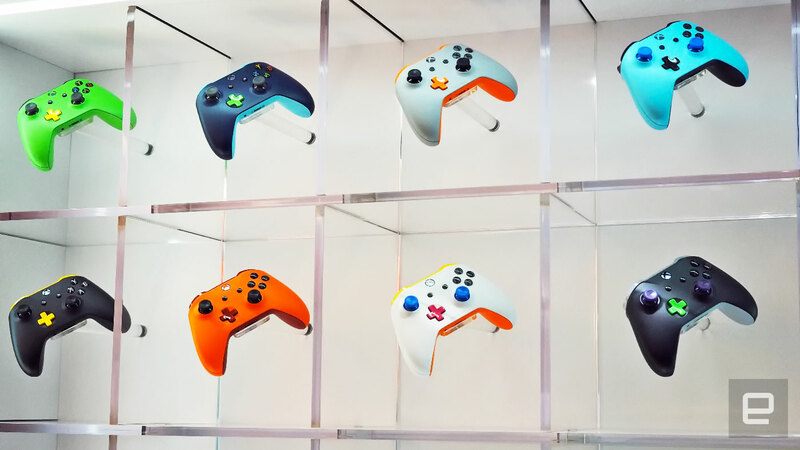 That said, you can still design and order the controller of your multi-colored dreams right now, online at the Xbox Design Lab. Until then, here are some design suggestions, direct from Xbox's booth at E3. With the choice of colors on the face and shoulder buttons, joysticks, the controller's faceplate and more, there are apparently eight million color combinations out there, so some guidance on your $80 custom 'pad may be appreciated. Blue thumbsticks sound like a good start.